BOSTON – (Staff report from Official News Release) – The Boston Celtics signed free agent guard Shane Larkin. Terms of the deal were not disclosed. Shane Larkin, guard of Baskonia during the Liga Endesa game between Real Madrid and Baskonia at Barclaycard Center on April 9, 2017 in Madrid, Spain. (Sonia Canada/Getty Images). Larkin (5-11, 175 lbs.) most recently played for Laboral Kutxa Baskonia in Spain last season where he played a total of 72 games (70 starts) split between ACB league play, the Euroleague and the Spanish Cup. The 24-year-old played in 37 games for Baskonia in ACB play, averaging 14.1 points, 3.1 rebounds, 4.9 assists and 1.38 steals in 28.0 minutes. The University of Miami product also appeared in 33 games of the Euroleague, notching 12.1 points (34.3% 3-PT), 2.7 rebounds, 5.7 assists and 1.27 steals. Traded to Dallas on a draft-night trade after initially being selected 18th overall by Atlanta in the 2013 NBA Draft, Larkin holds NBA averages of 5.8 points (43.0% FG, 32.8% 3-PT, 76.2% FT), 2.0 rebounds, 3.2 assists, 1.06 steals and 20.3 minutes in 202 career games (39 starts) over three seasons with Dallas, New York and Brooklyn. Larkin’s best NBA season was his most recent one, when the Cincinnati, OH native produced career highs in points (7.3 ppg), rebounds (2.3 rpg), assists (4.4 apg) and shooting percentages (44.2% FG, 36.1% 3-PT) in 78 games (17 starts) with the Nets in 2015-16. BOSTON, MA – JULY 30: Heath Hembree #37 of the Boston Red Sox pitches in the toip of the eighth inning during the game against the Kansas City Royals at Fenway Park on July 30, 2017 in Boston, Massachusetts. (Omar Rawlings/Getty Images). BOSTON – The Boston Red Sox have the misfortune of playing the two hottest teams in the American League in back-to-back series and did not fare so well in the first. The Red Sox, who needed extra innings to avoid a sweep at home in a three-game series against Kansas City over the weekend, will welcome the AL Central-leading Cleveland Indians for the start of a three-game set on Monday. The Indians had a nine-game winning streak come to an end with a 3-1 loss at the Chicago White Sox on Sunday but got another strong start, this time from right-hander Josh Tomlin, who took a no-hitter through four innings before being removed due to hamstring tightness. Cleveland’s starters have posted 2.97 ERA in the last 10 games to help the team maintain a two-game edge over the Royals in the Central. The lone dud in that span from the Indians’ rotation came from Mike Clevinger, who will try to redeem himself when he goes up against Boston veteran Doug Fister on Monday. The Red Sox managed to snap Kansas City’s nine-game winning streak with an extra-innings triumph on Saturday but watched a lead evaporate in the late innings on Sunday and enter the week one-half game behind the New York Yankees in the AL East. Clevinger was lit up for six runs – five earned – on nine hits and two walks in 4 1/3 innings against the Los Angeles Angels on Tuesday but escaped a loss when the offense exploded in an 11-7 win. The Florida native allowed a total of two earned runs and 10 hits in 24 innings over his previous four turns. Clevinger is making his first career appearance against the Red Sox and is 4-1 with a 2.15 ERA in seven road starts this season. Fister is returning to the rotation to take the spot of David Price, who was placed on the 10-day disabled list with elbow soreness last week. The Fresno State product failed to complete five innings in any of his last three starts and was bounced from the rotation after surrendering six runs on seven hits and four walks in 4 1/3 innings against Toronto on July 20. Fister has plenty of experience against Cleveland from his time with Detroit in the AL Central and is 5-4 with a 3.13 ERA in 16 career starts against the Indians. 1. Indians 2B Jason Kipnis (hamstring) began a rehab assignment at Triple-A Columbus on Sunday but there is still no firm timetable for his return. 2. Boston 2B Dustin Pedroia (knee) sat out the last two games and is day-to-day. 3. Cleveland SS Francisco Lindor hit safely in each of the last 10 games. BOSTON – The Boston Red Sox agreed to a trade with the New York Mets to acquire right-handed closer Addison Reed, according to multiple reports. Pitcher Addison Reed, formerly of the New York Mets, pitches in relief in an MLB baseball game against the Milwaukee Brewers on May 29, 2017 at CitiField in the Queens borough of New York City. Mets won 4-2. The players wore Khaki caps and accessories in honor of Memorial Day. (Paul Bereswill/Getty Images). Reed reportedly will be dealt in exchange for three Red Sox prospects. He will be a free agent after the season. Reed, 28, is 1-2 with a 2.57 ERA and 19 saves in 21 opportunities over 49 innings in 48 appearances this season. He has been the closer for the Mets since Jeurys Familia underwent surgery in May to repair a blood clot in his pitching arm. Reed would be expected to return to a setup role behind Red Sox right-handed closer Craig Kimbrel. According to the New York Post, the Mets will get three minor league relievers in the trade — Jamie Callahan (Triple A), Gerson Bautista (Class A) and Stephen Nogosek (Class A). PGA TOUR: WGC-Bridgestone Invitational on the South Course at Firestone Country Club in Akron, Ohio, Thursday through Sunday. TV: Thursday and Friday, 1:30-6:30 p.m. EDT on the Golf Channel; Saturday and Sunday, noon-1:30 p.m. EDT on the Golf Channel and 2-6 p.m. EDT on CBS. LAST YEAR: Dustin Johnson claimed his third victory in the World Golf Championships, playing the weekend in 66-66 to win by one stroke over Scott Piercy. Johnson, playing for the first time since winning the U.S. Open at Oakmont, was three strokes behind before he sank a 15-foot birdie putt on the 13th hole. He added an 8-footer for another birdie on the next hole before taking the lead for good with a 15-foot birdie putt at No. 17. Johnson, who has risen to No. 1 in the Official World Golf Ranking, won the WGC-Mexico Championship and the WGC-Dell Technologies Match Play titles earlier this season, and his total of five victories in the World Golf Championships ranks second behind Tiger Woods’ incredible total of 18. Johnson has won three of the past four WGC events. Jason Day of Australia tees off on the first hole during the final round of the World Golf Championships-Bridgestone Invitational at Firestone Country Club on July 3, 2016 in Akron, Ohio. (Chris Condon/PGA TOUR). PGA TOUR: Barracuda Championship at Montreux Golf and Country Club in Reno, Nev., Thursday through Sunday. TV: Thursday and Friday, 6:30-9 p.m. EDT on the Golf Channel; Saturday and Sunday, 7-10 p.m. EDT, on the Golf Channel. LAST YEAR: Greg Chalmers of Australia earned his first victory on the PGA Tour at the age of 42, becoming the 12th left-hander to win on the circuit, sinking a 9-foot eagle putt on the final hole. Chalmers, who took a one-point lead to the last hole, finished with 43 points under the Modified Stableford Scoring System, beating out Gary Woodland, who totaled 37 points after three-putting for a bogey on the 18th hole. The Aussie, who has won five times on the PGA Tour of Australsaia, claimed his first PGA Tour title after 18 years and 386 starts. Drew Pomeranz of the Boston Red Sox warms up before the first inning of a game against the Kansas City Royals on July 30, 2017 at Fenway Park in Boston, Massachusetts. (Billie Weiss/Boston Red Sox/Getty Images). BOSTON — Melky Cabrera is on the way to provide reinforcements, but the Kansas City Royals did just fine without him against the Boston Red Sox on Sunday afternoon. Alex Gordon and Alcides Escobar combined to drive in all five of the Royals’ runs, with Gordon smashing a go-ahead triple in the eighth to cap a four-run inning as Kansas City rallied for a 5-3 win at Fenway Park. “Just kind of typical of our success, you know, the big guys are getting on base and then Esky and Gordy … come up with huge hits,” Royals manager Ned Yost said after his team’s 10th win in the last 11 games. Before the game, Kansas City re-acquired Cabrera and cash considerations from the Chicago White Sox for two minor league pitchers to bolster the outfield entering the stretch run. Cabrera previously played for the Royals during the 2011 season, posting career highs in home runs (18) and RBIs (87) while hitting .305 that season. Gordon’s heroics were preceded by a game-tying two-run single with the bases loaded for Escobar, who had three RBIs total to help Kansas City (55-48) take the rubber match of its three-game series with Boston (57-49). Rafael Devers clubbed his first career homer at Fenway, a solo shot, and his second since his major league debut last Tuesday after Boston brought him up from Triple-A Pawtucket. “His first-step quickness and reaction off the bat has been better than anticipated, to be honest with you,” Red Sox manager John Farrell said of the 20-year-old Devers. Mitch Moreland and Christian Vazquez also drove in one run apiece for the Red Sox, who have lost seven of their last 10 games despite earning a wild 9-8, extra-inning victory Saturday. Boston fell to 1-46 when trailing after eight innings. Kansas City won the series opener 4-2 on Friday to run its winning streak to a season-high nine games before Saturday’s loss. Royals starter Jason Hammel (5-8) gave up three runs on seven hits with six strikeouts in seven innings, marking the first time a Kansas City starter has gone seven frames since July 15. “We need to do that a lot more. That’s our job, to go deep,” Hammel said. Kelvin Herrera pitched a scoreless ninth for his 23rd save for Kansas City. Red Sox starter Drew Pomeranz tossed 6 2/3 innings of one-run ball in his 100th career start, allowing seven hits and a walk with four strikeouts. Matt Barnes (6-3) was tagged with the loss after coughing up four runs (three earned) and failing to record an out in the eighth. “The bullpen’s been so good all year. It’s just part of baseball. 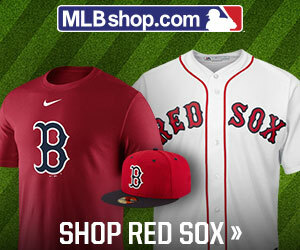 It happens sometimes,” Pomeranz said of the Red Sox’s bullpen implosion. Boston pushed across two runs in the second as Moreland clubbed an RBI double and Vazquez followed with an RBI single. Escobar cut the Red Sox’s lead in half with an RBI double in the fourth before Devers clubbed his homer an inning later to make it 3-1. Devers’ blast sailed approximately 381 feet and landed just above the home run line on the Green Monster in left field. He held up at second base as a crew chief review confirmed the home run call. Kansas City loaded the bases with nobody out in the eighth, allowing Escobar to deliver his game-tying two-run single to the opposite field. “(I was) just trying to put the ball in play. I (wasn’t) trying to (hit the ball) too hard. I just put the ball in play and I hit the ball really good to the other side,” Escobar said. Gordon followed with his go-ahead three-bagger to center. The inning began with a fielding error by Red Sox shortstop Xander Bogaerts, allowing Lorenzo Cain to reach first. “It opens the door, and then all of the sudden there’s life,” Farrell said of Bogaerts’ costly miscue. Boston loaded the bases with two outs in the ninth for Mookie Betts, who flied out to center field to end the game. NOTES: Red Sox 2B Dustin Pedroia (sore left knee) was out of the lineup for a second straight game. … Kansas City re-acquired OF Melky Cabrera and cash considerations from the Chicago White Sox for LHP Andre Davis and RHP A.J. Puckett. In a corresponding move, Kansas City designated RHP Andrew Edwards for assignment. … Boston celebrated the 10th anniversary of its 2007 World Series championship team in a pregame ceremony. David Ortiz, Curt Schilling, Jason Varitek, Mike Lowell and Pedroia were among those honored on the field, with ’07 World Series MVP Mike Lowell throwing out a ceremonial first pitch to Varitek. … Ortiz told reporters Red Sox LHP Dave Price should apologize to team broadcaster Dennis Eckersley for publicly confronting him on the team plane. “If he has to come and apologize to Eckersley … let’s do it and let’s just move on,” Ortiz said. … Red Sox RHP Doug Fister (0-5, 7.46 ERA) faces the Cleveland Indians and Royals LHP Danny Duffy (7-6, 3.56 ERA) opposes the Baltimore Orioles on Monday.